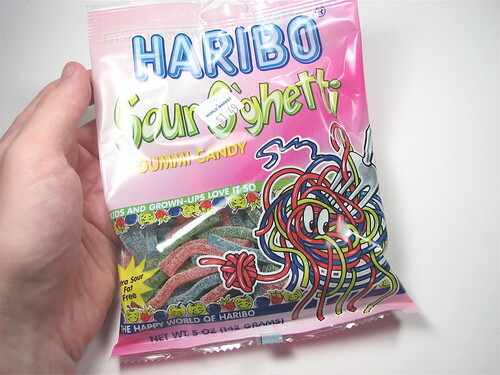 We came across this while working on the Circuitry Snacks project– they were one of the candidates that we originally thought might be good to serve as edible “wires.” Go figure. This entry was posted in Everything Else, Play with your food and tagged food. Bookmark the Permalink.